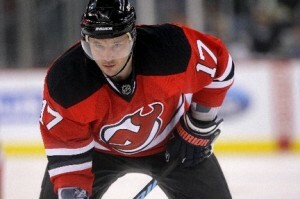 On Monday, thejerseychaser.com reported that the New Jersey Devils signed Ilya Kovalchuk to a 17-year contract worth $102m. No sooner did the ink dry on the dotted line than did the NHL reject the contract. The NHL does not believe Kovalchuk nor the Devils believe the Russian winger will serve the full 17-years and therefore are in breach of contract. This is the first contract of its kind to be overruled by the NHL. In the past, the league has investigated Chris Pronger and Marian Hossa’s contracts but did not find reasonable doubt. The Devils now must file the contract once again or the Players’ Association can file a grievance. If a grievance is filed the contract will be determined valid by arbitration (judicial system). Ilya Kovalchuk was this off-season’s most coveted NHL free agent, and he just resigned with the New Jersey Devils, a contract worth $102m for 17 years. If it sounds ridiculous that’s because it is…. and the NHL can’t do anything about it. Kovalchuk was holding out on singing because the NHL’s salary cap restricted teams as to how much money they could pay the Russian winger since teams can only spend $56.8m. Instead, the Devils lured Kovalchuk with a front-loaded long term contract. At 27-years of age, Kovalchuk is no newbie to the game, and his new deal has him under contract until he is 44. Kovalchuk is not expected to play out the entire length of his contract, which by law is illegal, but the NHL cannot prove intent. Like the contracts of Chris Pronger and Marian Hossa, Kovalchuk will be overpaid for his productive years and underpaid for his for the later ones. NHL teams have wised up since the New York Islanders signed goaltender Rick DiPietro to a 15-year, $67.5m contract. Instead of signing a front-loaded contract, the Islanders are paying $4.5m a season, making an old and very injury plagued DiPetro difficult to move. 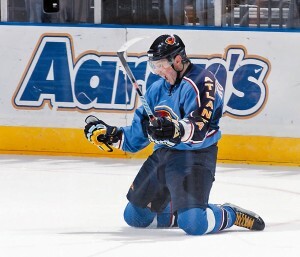 The good news for Islander fans who bought a DiPetro jersey… he still has 11 more years on his contract. Mikhail Semenko was one of 11 Russian spies arrested this week for espionage. While Semenko may have been spying on the U.S he was a fan of U.S sports. Semenko’s Facebook picture is him in front of Solider Field, and he posted a photo album titled: “Let’s go Devils! And also Ilya Kovalchuk.” Interestingly enough, Semenko posted the photo album on November 2, 2008, and Kovalchuk, who is also Russian was traded to the Devils in February.